Flintshire-based publisher NWN Media has announced a number of editorial changes after the departure of associate editor Martin Wright. Wright left last month to take over as editor of the Shropshire Star, and his former role has been taken by Susan Perry, editor of NWN’s Oswestry and Border Counties Advertizer. The vacancy left by Perry has been filled by Jeremy Smith, who returns to the paper after a 14-year absence having originally joined as a sub-editor in 1982. 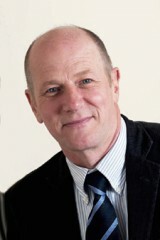 Before leaving in 1999 to go freelance, Smith also worked as the paper’s features editor before becoming chief sub-editor of its Chester titles and then deputy editor at the Evening Leader. He said: “Oswestry is growing and has an exciting future, and I want the Advertizer to reflect that optimism and to grow with it.